Eating better can make your recovery from addiction or mental illness much easier. Many studies have shown that diet has a significant impact on mental health. A diet high in nutrient-rich whole foods has been shown to improve mood and reduce the symptoms of depression, often by a lot. 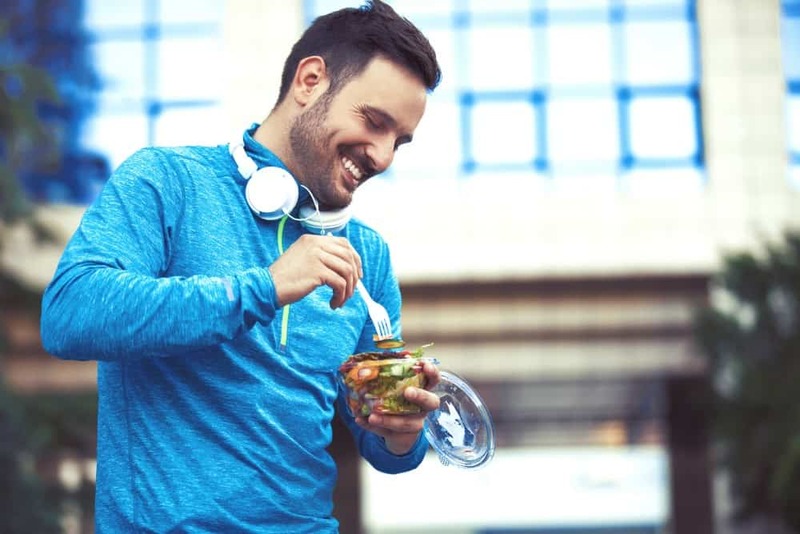 A healthy diet is also an important part of recovering from addiction, since many forms of substance use lead to poor eating habits and malnutrition. However, many people question whether it’s possible to healthy on a budget, since unhealthy food is so cheap and abundant. Eating healthy is not as expensive as you think, and it can even be cheaper than eating unhealthy. Here are some tips for eating healthy on a budget. Making more of your own meals is a good idea for many reasons. Studies have found that people who cook their own meals maintain a healthier weight than those who don’t, even when they eat pretty much the same things. When you make your own meals, you know exactly what’s in it and you tend to naturally make things with less sugar, salt, and fat than you would get in a restaurant. Making your own meals is also cheaper. Think about it: if you go out to eat, you have to pay for the food and pay the staff and pay the all the other costs associated with running a restaurant, such as rent, insurance, and so on. When you make your own food, you just pay for the food. You supply the labor yourself so it always ends up being cheaper. This is even true of fast food. While the dollar menu might seem like a bargain, consider what you’re getting in terms of nutrition and flavor. You can make something better, healthier, and more delicious for yourself for cheaper. Meat is extremely resource-intensive. You have to feed and care for an animal for years before you can slaughter it and sell the meat. Every animal sold for meat represents thousands of pounds of food, the cost of which is passed along to you. As a result, meat is inherently expensive. It has only been in the past 100 years or so that most Americans could eat meat with every meal. To keep the cost of meals down, eat less meat. The easiest way to do that is to use smaller portions or use small amounts of meat to flavor food, as you do when you cook beans with pork. Making soup is another good way to stretch portions of meat and use the extra bits like bones for flavor. You can also use cheap cuts, like ribs, pork shoulder, and hamburger. You might ask, “But where will I get my protein?” The answer is that it won’t be a problem. Most of us eat way more protein than we need. If you’re worried about it, eat some extra eggs, cheese, nuts, beans, or legumes. These are all cheaper than meat and replacing some meat protein with vegetable sources is probably healthier anyway. Whole foods are healthier choices than processed foods. They’re more fresh, they’ve had fewer nutrients stripped out of them, and they have less sugar and salt added. What’s more, the less processing is done to food, the cheaper it usually is. Keep in mind that even cutting food up is a form of processing. A package of sliced cantaloupe may be fresh and healthy, but about three-quarters of the cost is paying someone to cut it up and put it in a plastic container. Typically, if you buy whole foods with little or no processing, you’ll be getting healthier foods anyway, but you can do a little better by buying nutrient-dense foods. Dark leafy greens like spinach, kale, and collard greens are among the most nutritious foods for your money. Broccoli, onions, potatoes, carrots, and cabbage also have a lot of nutrition for a low cost. Brown rice, oats, canned beans, and dried lentils all have a lot of fiber to help you feel full, in addition to providing a variety of vitamins and minerals. A big stumbling block for most people who want to cook their own meals is that cooking every day takes a lot of time. One way around this is to cook in batches so you only have to cook once or twice a week. Make a big pot of soup, some rice and beans to use in different dishes, or some jambalaya-like dish that you can scoop into a bowl and heat in the microwave over the next few days. We’re used to being able to get pretty much any fruit or vegetable at any time of the year. However, if that fruit or vegetable is not in season, it had to be shipped from somewhere else. That cost is passed on to you and the food isn’t even as fresh as it would be in season. There’s an easy way to tell if a fruit or vegetable is in season: look at the price. If it seems expensive, it’s probably out of season and hard to get. If there’s a giant pallet overflowing with something at the front of the produce section, it means that food is in season and they’re trying to sell as much as they can before it goes bad. Frozen has a bad name because it doesn’t taste as good as fresh, but frozen whole foods like berries and vegetables are just as nutrient dense and cheaper than their fresh counterparts. What’s more, you can buy them in bulk when they’re on sale because they’ll keep for a long time in your freezer.